I am a born and raised Texan who now finds herself living in the land of Oklahoma. I have known that I wanted to be a counselor since I was in junior high school. Our family was going through some difficult times, and our counselor really made a difference in my life for the better! I graduated in 1998 with a Bachelor of Arts degree from Lubbock Christian University, and began my work in the field of mental health. I then went on to complete my Master of Arts degree in Counseling from Dallas Baptist University in 2002. I obtained my licensure as a professional counselor in the State of Texas in 2005, and also have my counseling license in Oklahoma as well. I keep my licenses active in both states as I'm never sure where life will have me next. I have worked in many different areas of mental health... and the one thing I keep coming back to is wanting to be able to work one on one with a person... find out what makes them tick, find out where they are hurting and do what I can to help them find solutions to their problems. I use a lot of cognitive behavioral techniques, I believe that identifying and challenging our irrational thoughts can make a huge impact on how we feel and act. I'm laid back, love to laugh, listen to WAY too many audio books, and love spending time with my boyfriend, Chris, my cat, Bella and my dog, Dakota. I love football, road trips and going on cruises. This is a lifeline for me, I recommend it to friends and family all the time. I love her! She’s very kind and understanding. Also has a very soothing voice. If I could afford it better, I’d keep this but I can’t afford it to come out all at once due to all my bills. I love Jennifer. She has been helpful with helping me manage the normal stresses of life. She is so amazing and helps me with all my issues. She makes me feel better. Jennifer has been wonderful. She reads my posts thoroughly and responds thoughtfully. I appreciate her attentiveness and would recommend her. Jennifer has really helped me break down some walls that I have had built up for years, she challenges me in my every day life to be better and face my fears. She has really helped with the lows and calms me during the highs. My LIFE has changed since starting therapy with her!!! I’ve only been speaking with Jennifer for a few months now, but I’m so glad I have talked to her! She’s so kind and honest with me, and she has remembered everything about me and my life and what is going on...she’s always checking in on me and it helps me feel safe. I am very thankful for BetterHelp and for Jennifer, she’s amazing! Jennifer is so kind and helpful. She has lots of good ideas and coping strategies and is just a wonderful voice of reason. Can’t say enough good things about her! Jennifer is a supportive counselor who helps to establish one's growth with setting goals to strive for. I feel confident and secure while speaking with her and know that she will respond with great advice or input. I enjoy our conversations and look forward to her responses as well. She is amazing at finding anything you need! She has great worksheets and always makes sure to find something that fits and works for you personally. She is an amazing listener. She offers very insightful advice and she makes it very easy to share with. Her communication skills match very well with my own and she always makes sure that I am understanding what she is trying to get across. She has been incredibly helpful. Jennifer has been so nice, she’s such a great person to talk to. Jennifer is phenomenal. Being someone who really struggles with anxiety and depression, there's never been a moment I felt like she wasn't being real with me. She definitely gave me a high level of respect and professionalism every time I opened up and made myself vulnerable about my struggles. On top of that, I felt like she always gave me the tools I actually needed and never any I didn't. I was skeptical going in, but that went away very fast with Jennifer. She is very helpful and quick to respond. She listened to my issues and helped me alot. She became like a best friend for me to vent to. Jennifer is a great listener and very encouraging. She is thoughtful and timely in her replies, and has been a life-saver at helping me keep things in perspective when the going gets tough. I appreciate her so much! I have been working with Jennifer for a couple weeks now. She not only thinks about what I have expressed thoughtfully, she gives amazing insights to how to proceed. She responds on a very regular basis and also lets you know how long she may be out of touch and what to do in case you need something. She uses many anecdotes to help me understand exactly what she needs me to realize! I highly recommend her! Very impressed with her honesty and not wasting my time and money on something that calls for a person with a different specialty. She is a person with training and expertise. So far my case has been difficult but even during a hard time in her own life she has continued working with me. It seems there are good/professional counselors on this site/form of counseling/therapy. Thank you Jennifer Teague and BetterHelp! I have been helped by Jennifer for just a short time so far but she has pointed me in the right direction and is helping me sort through what to prioritize. I have a ways to go but at least I don't feel overwhelmed as I did before. I would definitely recommend her. Jennifer has been very helpful in my process to handle my depression from my years of codependency. Having an online therapist that I don't have to wait a week to see is important to me and Jennifer is prompt with her responses. She is thoughtful and thought provoking. Her suggestions are helpful if you are willing to take the steps to try them. I would and have recommended better help and Jennifer to several people. 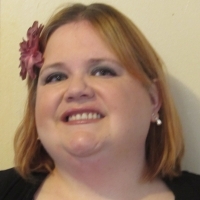 Would you like to write a review for Jennifer Teague? We'd appreciate if you can spend a couple of minutes to write a short review for Jennifer Teague (LPC). This review would be shared with Jennifer Teague. It may also be posted in our website or in Jennifer Teague's profile but it would be anonymous and your identity would be kept completely confidential.